Malta boasts summer temperatures consistently over 30 degrees Celsius which offers travellers the ideal climate to enjoy its beautiful beaches. Whether you’d prefer to spend your afternoons on a beach with locals and tourists alike enjoying the facilities a busy resort has to offer, or you’d rather go off the beaten track to a more secluded beach, Malta has something for you. For the more adventurous, there are a number of watersports on offer in Malta from water skiing to windsurfing. Malta’s crystal-clear waters are home to a breathtaking underwater world, best explored from one of its many dive schools; whether you’re a complete beginner or an advanced diver or anything in between, scuba diving in Malta’s beautiful waters is not to be missed. Back on dry land, Malta is home to some stunning, historical architecture – something which becomes evident during a stroll through the capital, Valletta. 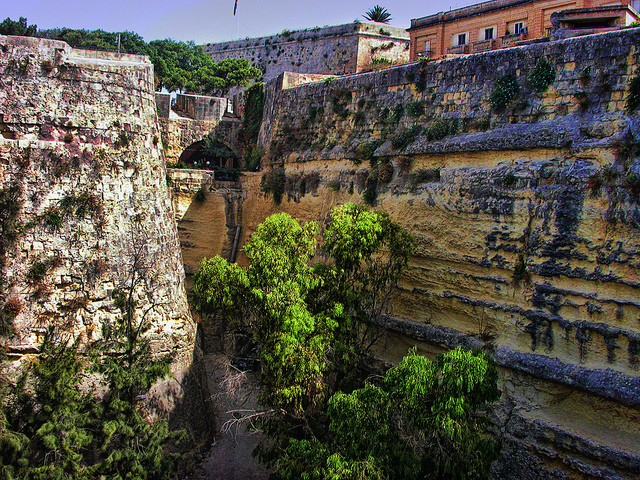 To explore Malta’s history even further, an array of archaeological sites and ancient temples are open to the public, including the oldest free-standing structure in the world – the Megalithic Temples. A trip to Malta would not be complete without a visit to one of the several local village markets and another opportunity to experience true Maltese culture. Strike up a conversation with the locals and practise your English – markets are as much of a social occasion for the islanders as a shopping trip! Given its natural beauty and impressive historical architecture, it is perhaps surprising that Malta also caters for those who prefer to spend their time exploring after dark. The lively St. Julian’s Bay offers travellers the chance to experience local cuisine in one of its many restaurants – its fresh fish is unmissable – before heading out into the Maltese night for cocktails, socialising and dancing. The many bars offer language tourists the chance to mix with the locals and practise their English before heading to one of Malta’s several nightclubs to dance the night away. Overlooking the vibrant St. Julian’s Bay in a recently-renovated, historical building is Maltalingua English Language School. Maltalingua offers travellers the chance to combine all that the island of Malta has to offer with an English language course tailored to suit most individuals’ needs. Whether you’re keen on improving your general language skills or would rather learn for a more specific goal such as business English or IELTS, Maltalingua has a course suitable for you. All teachers have a qualification to teach English as a second language so a high level of teaching is guaranteed and the school’s modern classrooms and facilities such as a lending library and self-study room make learning outside of the classroom possible. Students’ free time is further enhanced by Maltalingua’s rooftop terrace and private pool so you needn’t leave the building to grab an hour of sun in between classes! The language school promotes a relaxed, friendly atmosphere so, whether in or out of the classroom, you’ll feel comfortable learning English at Maltalingua. What more can you ask for from an English course than quality teaching in a modern environment surrounded by natural and ancient beauty and with enough activities to keep you entertained? Malta really does have it all! If you’ve now been inspired to discover Malta for yourself and brush up on your English language skills while you’re here, we have the perfect competition for you. You can win a 2 week English language course (20 lessons per week) including all of the course materials, accommodation in our school apartment, transfers to and from the airport and use of all of the school’s facilities by simply guessing the amount of tiles in Maltalingua’s private swimming pool. Just send us your guess along with a short explanation of why you’d love to visit Malta and you’ll be in with a chance of winning this fantastic prize! Posted in Inspiration, Malta and tagged with English, language, Languages, learning another language, Malta. RSS 2.0 feed.